Beaufort County Emergency Medical Services (EMS) is proud to announce that on Saturday November 07, 2015 the Harmony Masonic Lodge #22 presented the Asa C. Godowns EMS Professional of the Year award to Paramedic Lindsay Tuten. Lindsay Tuten is a paramedic with Beaufort County EMS for over 6 years. When Tuten is not on duty at EMS she is helping with the Child Passenger Safety Program at Beaufort County EMS. She does this by educating and assisting new parents and grandparents in proper car seat installations. Tuten also helps with the employee liaison committee to better the communication between all EMS personnel. Tuten is extremely passionate about her job and takes great pride in her chosen profession. This is evident in the congratulations she receives by the patients that she serves. Lindsay now shares this experience by being a preceptor trainer for new paramedics and new hires. 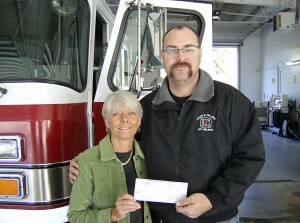 Lindsay works tirelessly to give back to the EMS profession. Lindsay is one of the best paramedics in the state she has represented Beaufort County EMS in regional and state wide Paramedic skills competitions. Recently she has taken on the task of bring Beaufort County EMS to the public by developing and maintaining the Beaufort County EMS Facebook page, which has over 550 likes already. 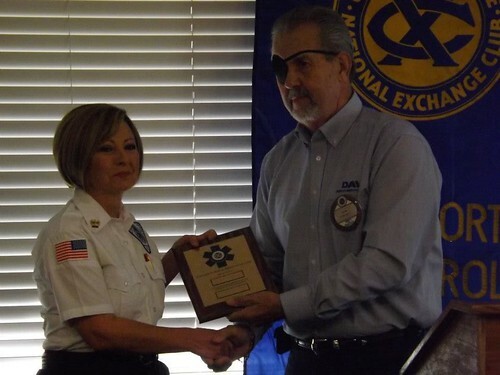 Harmony Masonic Lodge presents the EMS Professional of the Year award annually to someone who has demonstrated outstanding contributions and professional service to the citizens of Beaufort County through the field of Emergency Medical Services. The award is named for Asa C. Godowns, the Deputy Director of Beaufort County EMS for over 24 years who was killed in an auto accident in March 2001. Nominations for the awards are submitted by fellow EMS employees. At 73, Richard Nusbaum has golfed many times but it was different during a recent game. 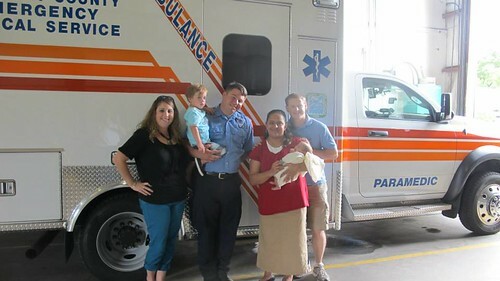 Nusbaum credits Beaufort County EMS paramedics Lindsay Tuten and Nichole Miller, as well as the cardiovascular catheter lab team at Hilton Head Medical Center with saving his life recently. On August 12, 2015, Nusbaum was golfing and not feeling well, so friends helped him home on his golf cart in Sun City. Once home, instead of getting off the golf cart they called 911 and stayed on the phone with the dispatcher until paramedics arrived. His skin was pale, and he was weak and sweating when EMS arrived. Tuten moved him into the cool ambulance and started her assessment. Tuten and Miller did a quick assessment and determined that he was having a STEMI (ST segment elevation myocardial infarction). In layman’s terms, he was having a heart attack right in front of them. Nusbaum was taken to the Cath lab and four stents were placed in his heart. He was released a few days later. Nusbaum said that he called 911 directly and did not call anyone before doing that. He had been advised of this in meetings in Sun City. He said that even calling security can slow the response of Emergency responders and to always call 911 directly. Both Tuten and Miller were very happy to see Mr. Nusbaum. “So many times we take people to the hospitals and really never know what their actual outcome is,” Miller said. Tuten and Miller both agreed this was a great feeling and reminded them of just why they went through all their training to become Paramedics, and why they are glad to work where they can make a difference in people’s lives. Beaufort County EMS would like to thank all of the Public Safety agencies and their personnel for attending or assisting in the memorial service for Julie Williams. Special thanks go to the Beaufort County EMS staff that worked so hard to make this happen. Thanks to the Baptist Church of Beaufort. Thanks to the Bluffton fire department Honor Guard Unit. It is with great sadness that we at Beaufort County EMS announce the death of Julie Williams. Julie was with Beaufort County EMS since 1995 and the training officer from 2008 until she had to discontinue working due to cancer treatment. Julie was inspirational in the training of many paramedics in the low country and an advocate for the improvement of EMS in everything she did. She touched many lives both in the street as a paramedic and in her office has a training officer. She was a national speaker on many EMS topics and this was her mission and passion in life, to educate and improve EMS systems everywhere she spoke. Julie’s family was by her side in her last days and we can be comforted in knowing she was loved and cared for in her time of need. Julie’s EMS family was always there if needed and was ready to help at all times. 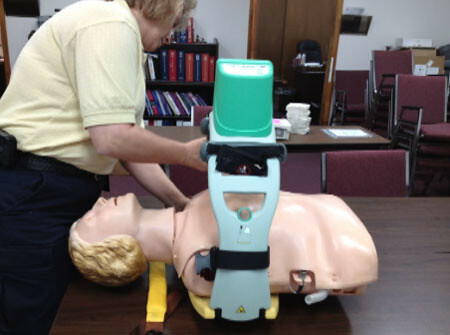 extra staff to cardiac arrest calls to switch out rescuers performing compressions. throughout ambulance transport and at the hospital. More than 45,000 Americans will be diagnosed this year. More than 38,000 will die. But there is hope. 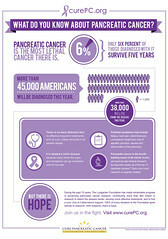 With Cablevision's support of The Lustgarten Foundation, 100% of your donation will go directly to pancreatic cancer research. American Diabetes Month is a time to raise awareness of diabetes prevention and control. In the United States, more than 25 million people are living with diabetes and 79 million more are at risk of developing type 2 diabetes. For more information or to see if you may have diabetes, contact your general physician. More than 160,000 U.S. students stay home from school each day from fear of being bullied. Bullying directly affects a student’s ability to learn. Students who are bullied find it difficult to concentrate, show a decline in grades, and lose self-esteem, self-confidence, and self-worth. Bullying affects witnesses as well as targets. Witnesses often report feeling unsafe, helpless, and afraid that they will be the next target. Bullying is a community wide issue that must no longer be ignored or thought of as a rite of passage. Students, parents, and educators all have a role in addressing bullying situations and changing school culture. The two keys to creating change are: increasing awareness that bullying has lifelong impact, and giving people the tools they need to respond effectively. Students can be especially effective in bullying intervention. More than 55 percent of bullying situations will stop when a peer intervenes. Student education of how to address bullying for peers is critical, as is the support of adults. Silence is no longer an acceptable response to bullying. Adults, students, and educators can no longer look away when they see bullying. Ignoring it won’t work. Everyone needs to be empowered with options to respond. The Leukemia & Lymphoma Society observes September as Blood Cancer Awareness Month. in bone marrow grow out of control. Each leukemia type is named according to affected cell. were able to meet baby Alexis in early June 2013. Check with your local pediatrician or general practitioner physician to verify what shots your child needs when. Adults need shots (vaccinations) just like kids do. Make sure you are up to date on your shots. Get a Td booster shot every 10 years to protect against tetanus and diphtheria. pain that lasts for months or years. only need to get the shot once. Few in the U.S. know the warning signs of stroke. Learning them – and acting FAST when they occur – could save your life or the life of a loved one. T = TIME If you observe any of these signs (independently or together), call 9-1-1 immediately. About 20 million Americans currently have HPV, the most common sexually transmitted disease. HPV is a major cause of cervical cancer. Most deaths from cervical cancer could be prevented by regular Pap tests and follow-up care. For more information, visit www.exchangeclubofbeaufort.org. Fund, a 100% volunteer effort dedicated to providing the tools, therapies and guidance to those veterans severely injured in the War on Terror that they otherwise are not receiving. Several employees from Beaufort County EMS, Burton Fire District, Lady’s Island/St Helena Fire and Rescue, Sheldon Fire Department, along with family members of Beaufort County EMS employees, will join the volunteer force Saturday night at the Lieutenant Dan Band Concert, providing any needed assistance to wounded veterans attending the 7 p.m. concert at Henry C. Chambers Waterfront Park. 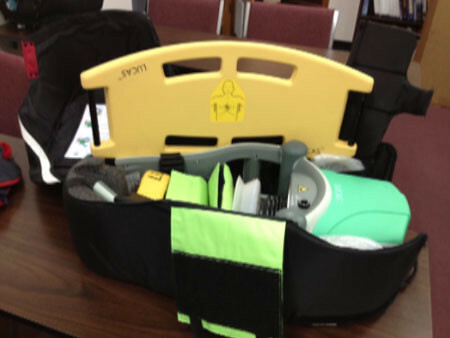 Beaufort County EMS is getting some new technology to help save lives. 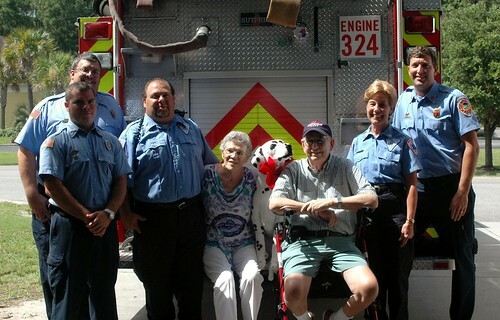 The week of May 20 – 26, 2012 is National EMS Recognition Week. Please take this time to thank all EMS personnel for time and service. This year the American College of Emergency Physicians (ACEP) has determined this year’s theme to be “EMS: More Than A Job. A Calling.” ACEP believes that EMS practitioners don’t choose their field for salaries and comfortable working conditions and hours. EMS practitioners choose their field to help and care for individuals in their time of need. Julie Williams was a presenter at the Tidewater EMS Educational Expo in Suffolk, Virginia from April 13 to April 15. Ms. Williams is employed by the Beaufort County Emergency Medical Services as the department’s training coordinator. She covered information medical services professionals should know about several new issues. Topics include recognition and treatment of patients with altered mental status caused by substances such as bath salts, and the latest findings on the use of oxygen on heart attack, stroke and head injury patients. The expo is sponsored by Tidewater EMS, a non-profit consortium of over 75 agencies in 10 cities in southeast Virginia and Virginia’s eastern shore. The 2011 recipient of Asa C. Godowns Professional of the Year Award was presented to Virginia Marshall. Individuals are nominated by their peers for this award that recognizes outstanding performance and contributions to the Beaufort County Emergency Medical Service Department. Mrs. Marshall has been employed as Paramedic with Beaufort County since 2007. 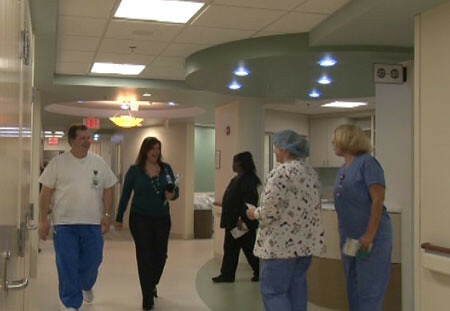 Everyone at Beaufort County Emergency Medical Services would like to thank the nursing staffs at Beaufort Memorial Hospital, Hilton Head Island Hospital, Coastal Carolina Hospital, the hospitals in Savannah, GA & Charleston, SC, along with any specialty hospitals that our patients may get transferred to for treatment. Every year, National Nurses Week focuses attention on the diverse ways America's 3.1 million registered nurses work to save lives and to improve the health of millions of individuals. Annually, National Nurses Week begins on May 6, marked as RN Recognition Day, and ends on May 12, the birthday of Florence Nightingale, founder of nursing as a modern profession. Medical Services is available for sale across the state. life” medical symbol combined with the state symbol. helping local EMS groups within the state. is William Winn of Beaufort County Emergency Management. Ed Allen, director of Beaufort County EMS, was elected president of the South Carolina EMS Association. The elections took place at the S.C. Emergency Care Symposium in Myrtle Beach at the end of February. "It's just as stressful and just as dangerous for the EMTs as it is for any other emergency responder," Allen said. which reviews curriculum used in emergency medical technician training.